What set Trinidiadian troupe Black Truth Rhythm Band apart from their funk-flecked contemporaries back in 1976 (when 'Ifetayo' was originally released) was simply that they were looking to a different continent for their influence. Rather than set their sights on America, the band looked to Africa (even taking African names) and this rare Afro-beat hybrid was born. That's not to say there's no funk present on 'Ifetayo', quite the opposite in fact - but the pervading sound is straight out of Africa and it's a joy to behold. 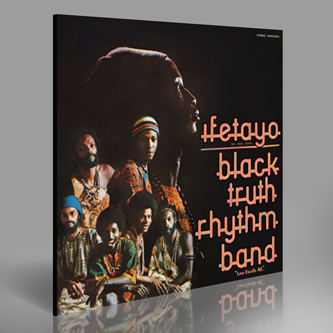 Any fans of Fela will likely be interested to know that the band went on to Record with Fela in the late 80s, but 'Ifetayo' stands as a sterling achievement with or without that accolade. Another heavy hitter from the Soundaway stables!